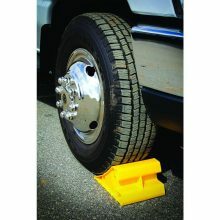 Camco’s RV Super Wheel Chock is designed to keep your trailer in place so that you can re-hitch with confidence. It is constructed of durable hard plastic with UV inhibitors and is easy as well as effective to use. 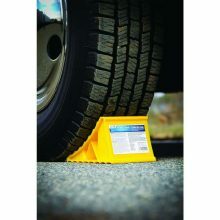 Camco’s RV Wheel Chock is designed to keep your trailer in place so that you can re-hitch with confidence. 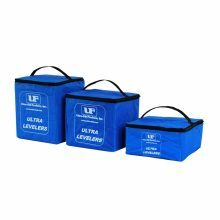 It is constructed of durable hard plastic with UV inhibitors and is easy as well as effective to use. Stabilize your trailer with a single piece of equipment. 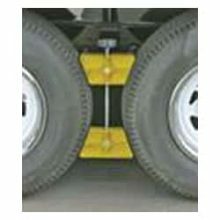 Secure tandem tires to prevent movement while parked or re-hitching. Patented. Single unit. 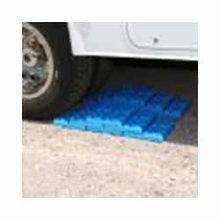 This wheel stop is designed for 26″ – 30″ diameter tires with tire spacing of 3 1/2″ – 5 1/2″. 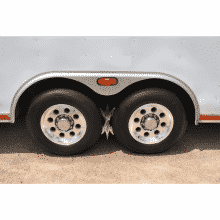 Works By Anchoring The Opposing Wheels Of Tandem Axle Trailers And Fifth Wheels, Lockable To Prevent Theft (Padlock Not Included). E-Z Grip Handle Creates Better Leverage. 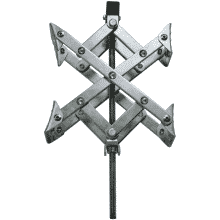 Heavy Duty Steel Construction. 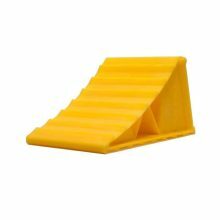 Super Grip Tire Louvers Reduce Slip. 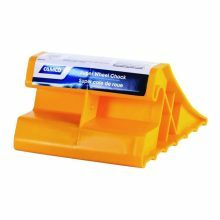 Easy To Use, One Piece Stabilizer Chock. Collapses To Just 1.5” And Expands To 5.25”. Interlocking blocks are stack-able in a number of configurations. 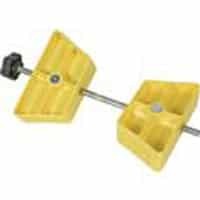 Blocks measure 8.3125″ x 8.3125″ with a 30,000 Lb weight capacity. Comes with a handy carrying/storage bag. Eliminates Front-To-Back Rocking Motion. Superior Handle Design Reduces Slippage While Mounting. 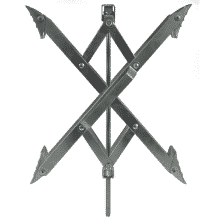 Heavy Duty Steel Construction. Fits MOST Applications. Anchors Opposing Wheels Of Tandem Axles. E-Z Ratchet Included. Handy Padlock Deters Theft. Pivoting Louvers Increase Tire Grip.